iPads are a great option for watching movies when you are traveling, or away from home. But the iPad does not have a lot of storage space, and HD movies can quickly fill your hard drive. Some apps can be quite large as well, so you may find that you are quickly running out of space. 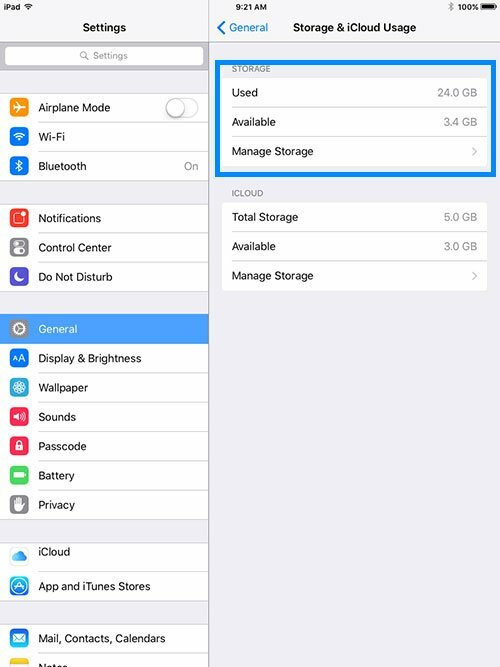 Fortunately you can check the status of your iPad’s storage space at any time from the Settings menu. Our tutorial below will guide you to the screen that displays this information, and will even show you how to see which apps are using the most space. How Much Space is Left on My iPad? 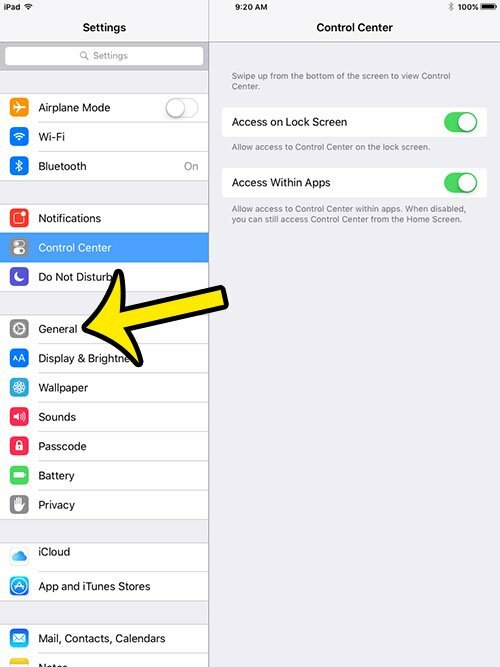 The steps in this article will show you where to go to see how much storage space is left on your iPad. If you do not have enough space to download something, such as a movie or new app, then you will need to delete some items from your device. 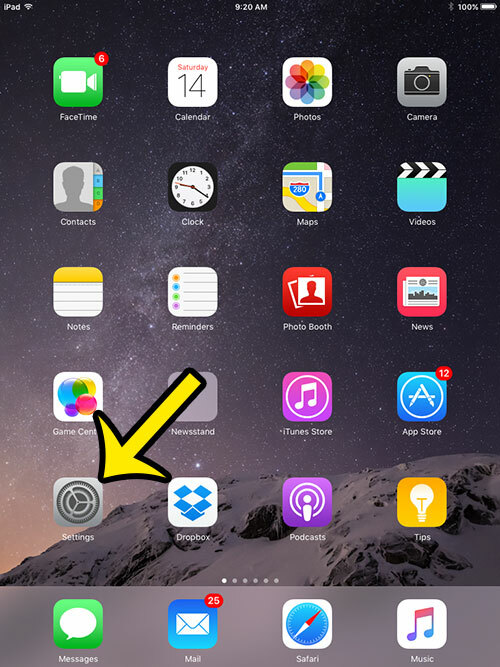 You can delete apps on an iPad in iOS 9 with just a few short steps. 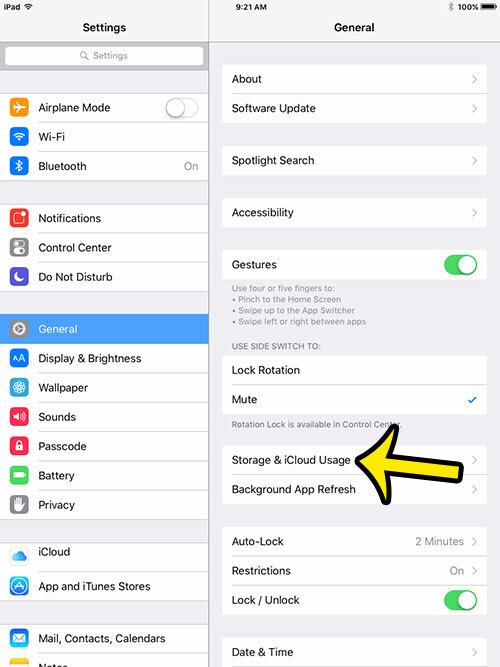 Tap the Storage & iCloud Usage button at the right side of the screen. Find your available storage information in the Storage section at the top-right of the screen. 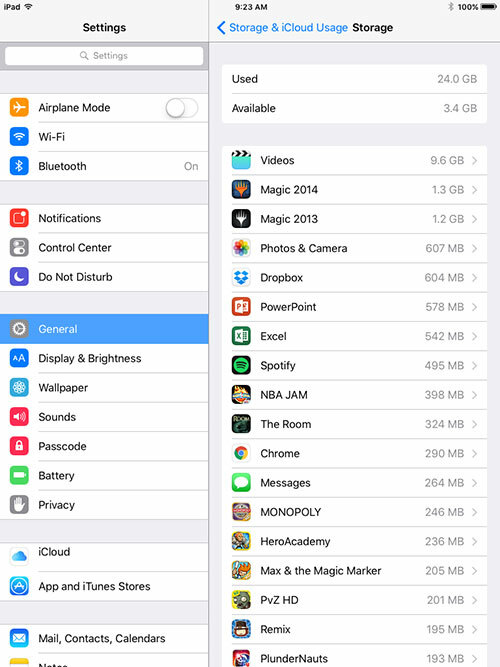 For example, the iPad in the picture below has used 24.0 GB, and has 3.4 GB of available space. You can tap the Manage Storage button to see which apps on your device are using the most space. For example, the Videos app is using 9.6 GB in the image below. Are pop-ups making it difficult for you to browse the Internet on your iPad? Learn how to block Web page pop-ups in the iPad Safari browser. You can even use those same steps to disable the pop-up blocker, if you find that you need to allow pop-ups for certain elements of a Web page to work.